Soon to be ex-Microsoft CEO Steve Ballmer has admitted that his greatest regret while in charge of the Redmond firm was missing out on the early days of the smartphone. 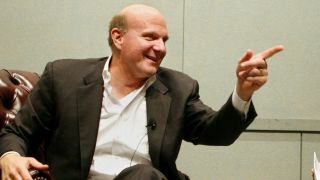 Speaking at an analyst meeting in Washington, Ballmer opened up about his time in charge of Microsoft and what happened when smartphones first entered the fray. "I regret that there was a period in the early 2000s when we were so focused on what we had to do around Windows that we weren't able to redeploy talent to the new device form factor called the phone," he explained. As iOS and Android begun to take off, Microsoft was still focussing on its PC business. It did have its Windows Mobile platform, but that was never capable of challenging the new offerings from Apple and Google. "That is the thing I'd tell you I regret the most, because the time we missed was about the time we were working away on Vista and I now wish we had our resources slightly differently deployed during that time. "It would have been better for Windows and better for our success in other form factors." Windows Phone wasn't launched until late 2010, several years after its rivals, putting Microsoft on the back foot immediately and since then we've witnessed it struggle to get a solid foot hold in the market. The recent takeover of Nokia by Microsoft signals intent from the firm that it's taking mobile seriously and it will look to cement its third place in the mobile market - although it's still some way off the top two.